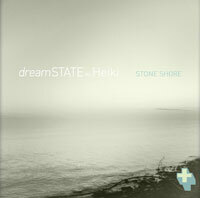 dreamSTATE's new album, EPHEMERAL DRoNE, is an ambient dronescape journey recorded live on the third National Drone Day, May 28, 2016 and released on Drone Day 2018. 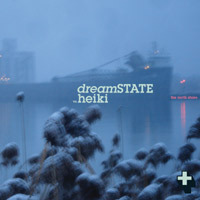 It's available now on CD or as a Download at Bandcamp. 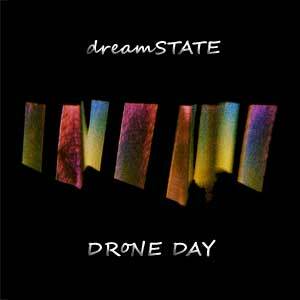 dreamSTATE's album, DRoNE DAY, is an ambient dronescape journey recorded live on the first National Drone Day, May 10, 2014 and released on Drone Day 2017. It's available now on CD, Cassette or Download at Bandcamp. Read an interview with dreamSTATE about the 18th anniversary of THE AMBiENT PiNG, their long relationship with ambient drone music, and their favourite gear and music at the Roland Music Blog. Subscribing to dreamSTATE's electronic newsletter is the best way to get insights, special audio/visual treats and updates on new albums and events. dreamSTATE's Ephemeral City is an infinite multimedia app created for iPhone, iTouch or iPad. Every listen to this deep ambient iAlbum will be a fresh experience, with ever-changing arrangements of dreamSTATE soundscapes plus urban ambient art by Scott M2. 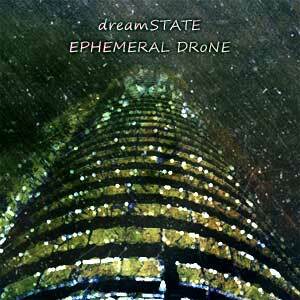 The new dreamSTATE album EPHEMERAL DRoNE is exclusively available now through the dreamSTATE Bandcamp site. at CD Baby and at Bandcamp. with soundscapes light and dark.